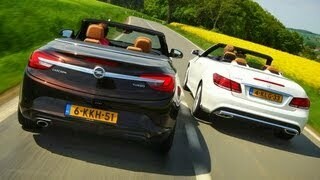 The Cascada, Opel’s new all-season convertible due to be launched in early 2013, is a classy four-seater with an elongated silhouette and a high-quality soft top. 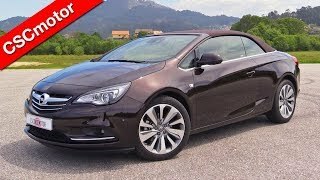 The Opel Cascada 2013 is a midsize convertilble not only by its size as it stretches to some 15.4 feet in length and 6 feet width but also by its allure and the premium technologies and features it offers. An electro-hydraulic mechanism activated via a switch located between the front seats opens the roof in 17 seconds at driving speeds of up to 50 km/h – placing the Cascada among the benchmarks in roof-top operation. A broad powertrain line-up will be available in the Opel Cascada convertible including both gasoline and diesel options. Highlights in the powertrain line-up is a new 1.6 SIDI Turbo ECOTEC gasoline engine. It delivers 125 kW/170 hp, between 1,650 and 3,200 rpm – and 280 Nm thanks to an overboost function. The engine will be available with manual and automatic 6-speed transmissions.